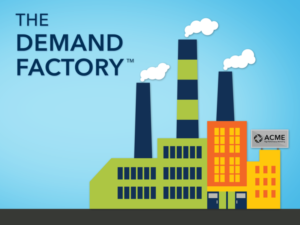 For those of you who attended my webinar, Big Vision, Big Impact, I hope the Demand Factory™ metaphor served as a helpful framework to align your organization, team and strategic initiatives for the journey ahead. 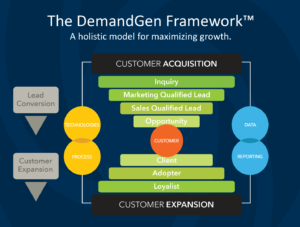 As I mentioned in the webinar, the name of the Demand Factory™, which I called “ACME,” is not just a clever name, but serves as an acronym representing the four disciplines of modern marketing. Each of these disciplines serve as one of the four pillars of your Demand Factory, and to truly achieve high-performance marketing, you must allocate resources and time to each of them. 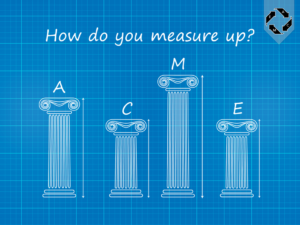 If you don’t, your Demand Factory will look like the leaning Tower of Pisa, and you’ll miss out on your full potential to impact the growth of the business. All too often we see marketing teams far too focused on the first discipline of attraction, launching campaign after campaign to generate new leads. 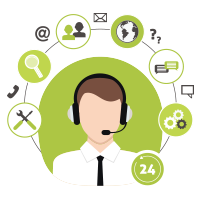 Without focusing on the second discipline of Conversion using lead nurturing and lead scoring and operationalizing the demand funnel, you’re missing out on the opportunity to get a greater return on your investment in marketing automation. And remember, all of these automated programs are not “set it and forget it” programs and processes; rather you must audit their performance and fine-tune them on an ongoing basis to get maximum impact. Don’t get caught with “funnel vision”. There are two funnels for driving growth. Click to enlarge. I also highlighted the importance of focusing on the fourth discipline of expansion to maximize the value from every client relationship—what I call “wallet share.” Most established companies generate the majority of their revenue from their install base, which means you should be focusing your resources and time on programs that will enhance client engagement. If you’re not already using your marketing automation system and marketing technology for those purposes, give some thought to putting some strategic initiatives in place that will get the team focused on the lower funnel. In the webinar, I also talked about the importance of data chains for enabling effective measurement. While I believe it’s critically important to start with the end in mind and come up with a marketing dashboard that has key performance indicators nicely laid out, the hard part is ensuring that your data chains are intact, so the integrity of your data is where you need it to be for effective reporting. This is one of the biggest challenges that we help our clients with every day. My hope is that our virtual tour of the Demand Factory’s six floors provided you some important things to think about regarding your team’s organizational structure and roles, the key processes that must be identified and put in place, and how to avoid getting caught in the “shiny new toy” syndrome with all the marketing technology now available. You can expect to see literally hundreds of new marketing technologies hit the market over the next year, and while I’m equally excited by the promise of it all, it’s going to get harder and harder for you to leverage technology without partnering with an agency such as DemandGen to help identify and prioritize which solutions to embrace. If you weren’t able to join us for the webinar, take time to watch the recorded version. If you were able to join, consider re-watching the webinar to reinforce some of the learnings. Note: We were able to edit out the screen flickering that took place while I demonstrated our use of Salesforce and our marketing automation system. We determined the flickering was due to a conflict between the screen recording and PowerPoint. I mention this in case you want to share the webinar with anyone else, and in case you do similar types of webinars. I’m glad so many of you reached out to us after the webinar to talk with my team about how we can help you build your Demand Factory. 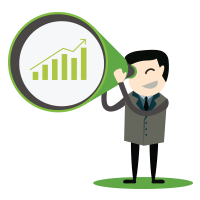 We truly enjoy helping firms go from batch-and-blast to best-in-class.